Tempo (Bayer)is an advanced generation pyrethroid insecticide, which boasts fast acting and sustained kill. Tempo Ultra WP - a 10% Cyfluthrin wettable powder for sprayers and misters with tank agitation and wettable powder capabilities. Works best on porous surfaces that may be dirty or dusty. Tempo can also be dispensed from any other equipment able to provide a coarse spray, like our Curtis Foggers. Tempo is also compatible with most disinfectants. For Broad spectrum control of crawling, flying and wood destroying insect pests for indoor and outdoor surfaces. Very extensive list of areas to use. Cyfluthrin a fourth generation pyrethriod, which provides effective knockdown and residual control of many forms of insects. Tempo Ultra WP is intended for use as a general surface, spot or crack and crevice insecticide. Works well on rough surfaces. Get even longer protection without resistance by adding P.B.O. to your Tempo mixture. Some insecticide products may be classified as restricted use in your state, please verify with your state authorities. For Residential, Industrial, and Institutional Control of Major Nuisance Pests Listed on the Label Authorized For Use in Federally Inspected Meat and Poultry Plants as a Crack and Crevace Treatment. BIFEN I/T multi-insecticide has a broad label you can count on. A true miticide, BIFEN I/T controls over 75 different pests. Campare to Talstar One or Speckoz Bifenthrin to BIFEN I/T and you will see the control and savings. Tempo Ultra SC (Bayer) 240 mL Bottle Liquid Concentrate. Tempo Ultra - a Cyfluthrin liquid concentrate for sprayers without tank agitation, where ease of liquid is advantageous and surfaces to be sprayed are finished or smooth. Tempo can also be dispensed from any other equipment able to provide a coarse spray, like our Porta-Spray. Tempo can also be applied using one of our Curtis Foggers. One of our most popular solution! 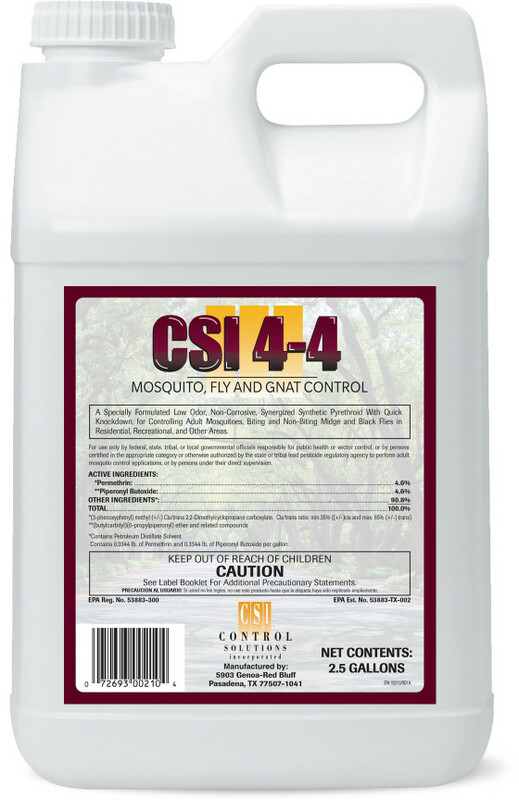 13.3% Permethrin Liquid Concentrate controls a wide number of insects and is labeled for use outdoors. Safe for use around pets. This powerful pyrethroid concentrate gives a broad spectrum - fast-acting - mild resistance kill. 13.3% permethrin is the cost-effective-versatile insecticide, with many uses. Excellent for control of yard insects. Available in three different sizes. Permethrin 10% Liquid Concentrate controls a wide number of insects and is labeled for use indoors and outdoors. Safe for use around pets. This powerful pyrethroid concentrate gives a broad spectrum - fast-acting - mild resistance kill. 10% permethrin is the cost-effective-versatile insecticide, with many uses. Excellent for control of yard insects. PBO - Liquid Synergist Concentrate. P.B.O. is an emulsifiable synergist in liquid concentrate form for use in combination with insecticides, as a tank mix to overcome resistance that insects develop with constant use of synthetic insecticides. P.B.O. is a unique tank additive that restores activity against resistant strains of insects. It acts by inhibiting naturally occuring enzymes that would otherwise degrade the insecticide molecule. 3% Pyrethrum/ 30% PBO Liquid Insecticide Concentrate. This 3% pyrethrum liquid concentrate is very popular for use in automatic insect control misting systems and also handheld mechanical foggers. Areas of use include residential yards, horse barns, dairy barns, kennels and other farm structures or buildings housing animals or poultry. 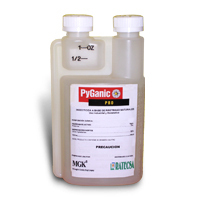 This 6% Pyrethrum liquid concentrate is a very versatile insecticide. It can be used alone as a clean-up or pre-harvest spray where other materials cannot be used because of residue restrictions. 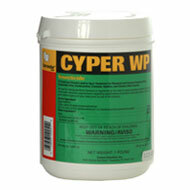 It can also be used as a tank mix with other insecticides for fast flushing of insects. Mosquitoes can be a real problem for PMPs and most oil-based pyrethrin concentrates can harm landscaping plants and foliage. The unique water-based PT ULD HydroPy-300 pyrethrum concentrate is easily dilutable, less harmful to plants and foliage and ideal for use in and around a variety of facilities including apartments, bakeries, campgrounds, food processing areas and hospitals. Vampyre 3% Pyrethrin/30% PBO Liquid Misting Concentrate. A micro-emulsion, water-based spray. Kills Mosquitoes, including the Culex species that may carry and transmit the West Nile Virus. Riptide is for use indoors and outdoors and is less harmfull to landscape plants and foliage. Riptide has no oil and leaves no oil residue. Kills biting insects including ticks, mosquitoes and flies. Economical to use compared to other pyrethrin sprays. Mosquito Dunks - Bactimos Briquets (BTI) Floating Sustained-Release Larvicide For Long Term Control of Mosquito Larvae. Metered Aerosol Dispenser designed for automatic dispersal of spray from common 6.4 oz. This state-of-the-art dispenser offers 15 minute spray cycles 24 hours a day for 30 days. This Aerosol 6.25/6.4 oz for use in most styles of automatic dispensers. Kills Flies, Mosquitoes, Gnats, and small flying moths. Both Cyonara 9.7 and Demand CS contain the same active ingredient and capsule-technology. However, we recommend you Cyonara 9.7 for our customers because of its more reasonable price. 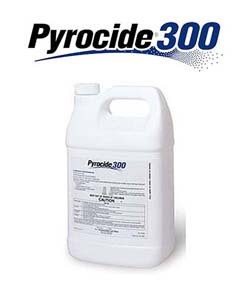 Pyrocide 100 Contact Insecticide uses pyrethrins with a 5% dual synergist for tough insect problems. 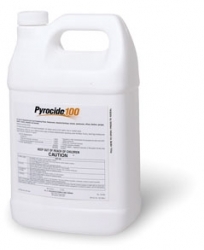 Pyrocide 100 Contact Insecticide is authorized for use in federally inspected meat and poultry plants for broad spectrum control of a number of crawling and flying insects found in food handling areas. Pyrocide 100 Contact Insecticide can be used full strength or diluted in a variety of ULV application equipment such as the Micro-Injector and other ULV equipment designed for Crack & Crevice, space and contact spray. Sector� Misting Concentrate is a new water-based insecticide designed for misting systems. Sector provides knockdown, kill and residual control of the toughest flying insects problems, including mosquitoes, flies and other nuisance insects.